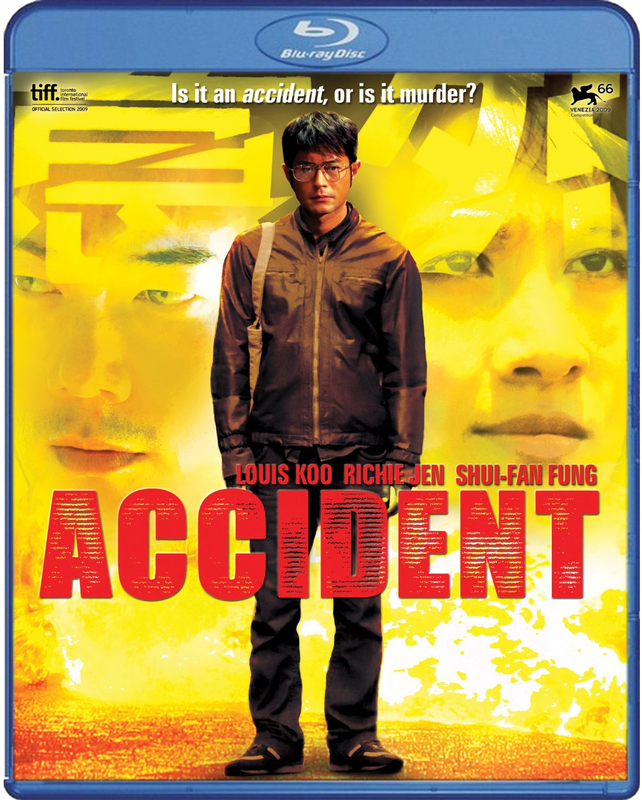 Schlock-Wire: Johnnie To’s Latest Film ACCIDENT On Disc From Shout Factory In June – Schlockmania! Not all accidents are caused by fate! This summer, get ready for a new breed of action suspense thriller that plumbs and exposes the weaknesses of the human psyche. On June 12, 2012, Shout! Factory, in collaboration with Media Asia, will debut the acclaimed Hong Kong feature ACCIDENT on Blu-ray, DVD and available on digital entertainment platforms. Nominated for a Golden Lion Award at the Venice International Film Festival and a festival favorite at the Toronto International Film Festival, ACCIDENT is a masterfully crafted thriller that combines stylish visuals, edge-of-your seat suspense, and violence. This highly anticipated North American home entertainment release features insightful bonus content and is a must have for Asian extreme action fans! The Blu-ray is priced to own at $26.97;the DVD has a suggested retail price of $19.99. A self-styled accident choreographer, Brain (Louis Koo, in one of the most compelling performances of his career) is a professional hit man who kills his victims by trapping them in well crafted accidents that look like unfortunate mishaps but are in fact perfectly staged acts of crime. He is perennially plagued with guilt, as the avalanche of memories of his lost wife does not make things any easier. After one mission inexplicably goes wrong, costing the life of one of his men, Brain becomes convinced that this accident has been choreographed: someone is out there plotting to terminate him and his team. He becomes increasingly paranoid, not knowing whether or not to trust his friends and accomplices. When he discovers that a mysterious insurance agent named Fong (Richie Jen, Exiled) is somehow related to the last staged accident, Brain becomes obsessed that this man must be the mastermind behind a conspiracy to take him out. To regain his sanity and to save his life, he must stay one step ahead of Fong before he makes his next move. Brain rents an apartment below Fong’s, bugs the rooms, then becomes obsessed with the insurance man’s comings and goings. Eventually reality and delusion blur, culminating in a wickedly twisted ending.